Bill Cosby has a great way of “distilling” things. Looks like he’s done it yet again! AMERICA NEEDS A CANDIDATE WITH THIS PLATFORM!! (1). Any use of the phrase: ‘Press 1 for English’ is immediately banned. English is the official language; speak it or wait outside of our borders until you can. (2). We will immediately go into a two year isolationist attitude in order to straighten out the greedy big business posture in this country. America will allow NO imports, and we’ll do no exports. We will use the ‘Wal-Mart’ policy, ‘If we ain’t got it, you don’t need it.’ We’ll make it here and sell it here! (4). All retired military personnel will be required to man one of the many observation towers located on the southern border of the United States (a six month tour). They will be under strict orders not to fire on SOUTHBOUND aliens. (5). Social Security will immediately return to its original state. If you didn’t put nuttin in, you ain’t gettin nuttin out. Neither the President nor any other politician will be able to touch it. (6). Welfare — Checks will be handed out on Fridays at the end of the 40 hour work week, the successful completion of a urinalysis test for drugs, and those in school having passing grades. (7). Professional Athletes — Steroids? The FIRST time you check positive you’re banned from sports … for life. (8). Crime — We will adopt the Turkish method, i.e., the first time you steal, you lose your right hand. There is no more ‘life sentences’. If convicted of murder, you will be put to death by the same method you chose for the victim you killed: gun, knife, strangulation, etc. (9). Only one export of ours will be allowed: wheat; because the world needs to eat. However, a bushel of wheat will be the exact price of a barrel of oil. (10). All foreign aid, using American taxpayer money, will immediately cease and the saved money will help to pay off the national debt and, ultimately, lower taxes. When disasters occur around the world, we’ll ask The American People if they want to donate to a disaster fund, and each citizen can make the decision as to whether or not it’s a worthy cause. (11). The Pledge of Allegiance will be said every day at school and every day in Congress. (12). The National Anthem will be played at all appropriate ceremonies, sporting events, outings, etc. My apology is offered if I’ve stepped on anyone’s toes …. nevertheless. .
Editor’s comment: It’s too bad that Bill Cosby wasn’t our first black President instead of Obama. Don’t you agree?? 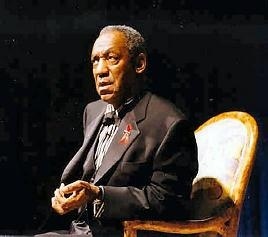 Bill Cosby has done it again! When Hillary Clinton DID speak out about him and NOT being born here…he threatened to murder her daughter. Why didnt Bill Crosby see these things about Obama in 2008, I did, I never voted for Obama. It was a set up in the very beginning. I voted on issues not color. At first I did think Obama would be good but then I read about him. 3 gay blacks died in Rev. Wright church. Bill Ayers story. Plus a lot of stories. But he got in because he wanted to transform America. Where is his birth certificate? Why pay all that money to hide it.